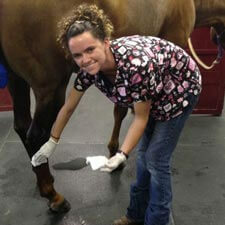 Burleson Equine Hospital is a full-service equine hospital that specializes in medical and surgical care for horses. Our equine veterinarians are known and respected throughout the horse world for innovative and highly skilled treatment of horses. We work with hobby horsemen and horsewomen as well as professionals who rope, rein, cut, and show horses at regional and world level championships. Our hospital facility offers a full range of services including surgery, internal medicine, advanced diagnostic imaging, regenerative medicine and specialized reproductive services. We provide ambulatory services for emergencies, preventative care, general reproduction, diagnostic imaging, medical care and treatment of your horse at your farm or stable in North Texas. Call to discuss your horse's health today! Dr. Jordan is amazing. She is a horsewoman herself and truly understands the bond between a horse and owner. 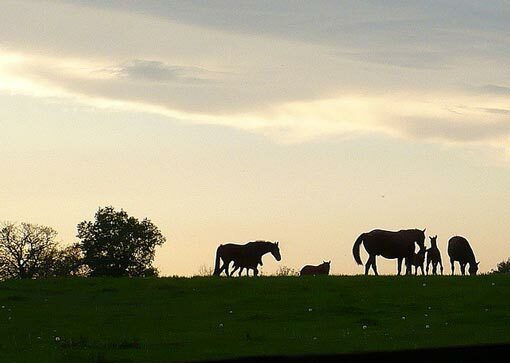 We travel more than three hours to have our horses cared for by Dr. Jordan. My husband and I compete in AQHA and NRCHA events on a national level and Dr. Jordan has been instrumental in our efforts to keep our now 19, 16, and 15 year old show horses in top condition. We have also used her services to foal out our broodmare well as to perform pre-purchase exams. Her integrity and compassion is above reproach and her honest, straightforward explanations of what is best for the horse, and the financial implications of the various options, is appreciated more than words can express. Thank you, Dr. Jordan and your outstanding staff, for everything you do. We had a really distressing situation with our horse and they were able to come out right away and put him down. We were just so upset that we had not realized the seriousness of his health problems that the fact that they were so available to come out and ease him out of his misery was so comforting to us. They also had so much good information and advice for us. We will forever be grateful for their services. Recently my horse was down and needed a vet so we called Burleson Equine. The vet and the technician arrived in a timely manner and provided the services our horse needed. They provided us with an estimate for all the potential services that might need to be provided. Our horse has never been happier. 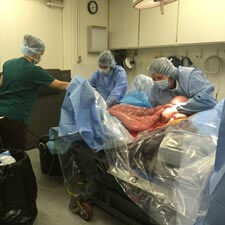 The vet and technician were very knowledgable and handled our horse with care. The bill was very reasonable. We will only be using Burleson Equine from now on! They are the best! Have a question? Shoot us a message. If you need to set an appointment or have an emergency, please give us a call at (817) 295-2231.